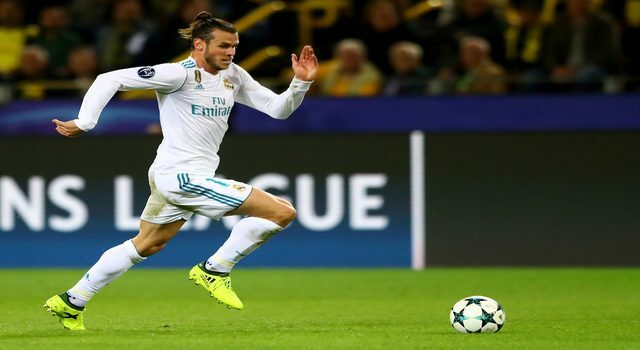 Gareth Bale said after the Champions League final that he had to speak with his agent, Jonathan Barnett, to clarify his situation at Real Madrid. 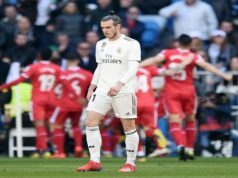 After scoring the best goal in the history of the finals of the competition and being named MVP of the game, Gareth Bale opened the door of his departure from the Spanish giant. The Welshman lived his worst season since his arrival to Madrid, in 2013. Bale had several problems with the injuries and his performances weren’t as expected. 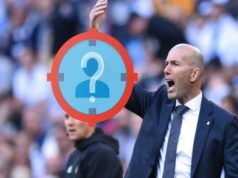 Besides, Zinedine Zidane decided to leave him on the bench in the last games of the season, despite his good matches against UD Las Palmas or Villarreal in La Liga. In the Champions League final against Liverpool, he was again on the bench but came in in the 60th minute to score two decisive goals winning his fourth European title with the Spanish giants. Soon after that Bale admitted that he needed more minutes and playing every weekend. This is something Manchester United can offer and the rumours were triggered soon after the final whistle. José Mourinho tried to recruit him last summer, but Los Blancos didn’t allow him to leave, especially with the failure of Mbappé’s signing. Now the situation can change. Florentino Pérez is thinking of signing some important players to give a boost to the next projects and he would need to sell some other footballers. Bale could be the chosen one, especially after his stunning goal in Kiev. Reports say that Manchester United can pay up to €227.5M, according to The Sun, or €135M, according to The Telegraph. At least, Los Blancos would cash in €150M for this operation. Besides, Bale would have his salary increased. He could earn €38.5M per season, around €740.000 per week. He would be as well paid as Leo Messi, so he could become one of the highest paid players in the world. In addition, Gareth Bale could join a Premier League team and being back to his homeland. But Manchester United is not the only club showing interest in Gareth Bale as Bayern Munich have also joined the race for the Welshman. In the meantime, Bale is suffering criticism for not being able to adapt himself to the Spanish culture after five years living in sunny Madrid. John Benjamin Toshack, former Welsh national coach, said that “it’s very sad that Bale doesn’t speak the language” after his time in Spain. One reason more for thinking in a departure this summer. The Way Bale has been treated by ZZ was Terrible He scored so many Winners and equalised with Barcelona You never know whats in Zinedane Mind I know that if Real Madrid had Lost this Final ZZ would be out the Door RM had a poor season and was Saved in the Time Bale Came on the Field The Hardest thing any Player has to Take is the Photo of the Selected 11 players it should Be the 18 selected Players Photo as the Full Final Team thats on Display the Main Bitich with Players I talk with Substitutes feel like Second class onion pickers Grinding their Teeth to get on the Bench ! if RM lose The Red Dragon its a Sad Day God Help Meeting Bale with Man Utd in a Red Shirt Final Hala Madrid ! Fantastic Benziema Goal quick Thinking should be in the French Team ?